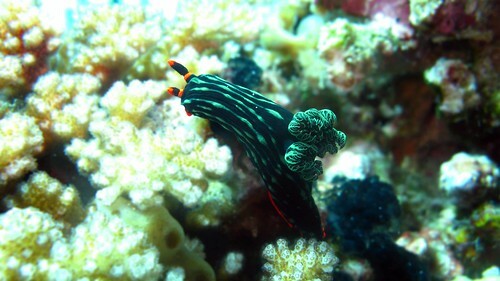 Sumilon Island is actually part of Cebu but is nearer to Dumaguete City. 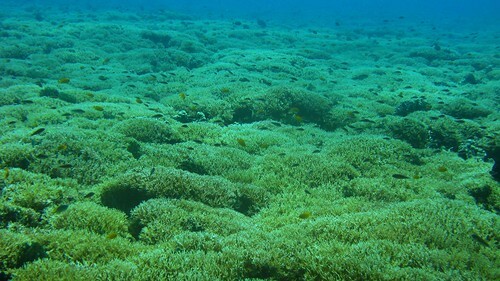 It is known for its crystal blue water and amazing visibility and of course, its marine sanctuary adopted by the Siliman University in Dumaguete. Sharks (whale sharks and hammer head) are occasionally spotted here hence the site called “Shark Avenue”. Needless to say, I couldn’t be more excited. We started quite early but getting in the boat, one of my fins were nowhere to be found! We searched our boat and the other boat but still they couldn’t find it. The dive shop’s setup was, at the end of every day, they bring all gears from boat-2 to boat-1, and then in the morning, bring them back. This way they will only watch over 1 boat in the evening. Worked well the night before, even if they missed a wetsuit, a bootie, or a glove, but still we only need to do our own gear check and then retrieve it from the other boat. Today, it wasn’t the case. We checked boat-2 500x to no avail. The boat men and the DM went back boat-1 to check but came back empty handed. The most frustrating part is that they made an outrageous suggestion that we try to find it when we get there – the one hour, 12km choppy boat ride away! They thought that it was just buried under the piles of BCDs and tanks. Genius! NOT! My sharpen tongue was ready to lash out venom when calmed Lu-ann called up Snoopy, the dive shop owner. It was then decided that he will bring over several pairs of fins so I can find one that works. The thing is I am very particular with fins. I’ve had problems with cramps until I started using Force Fins. I know for sure that they don’t have it as only one shop that carries this in the Philippines. Anyway, I ended up using Scubapro Twinjet Fins. It was okay although a bit stressful to my ankle as it is a lot heavier. When we finally get to the dive site, group 1 divers were already underwater. I have already calmed down since and was excited to cruise this avenue. 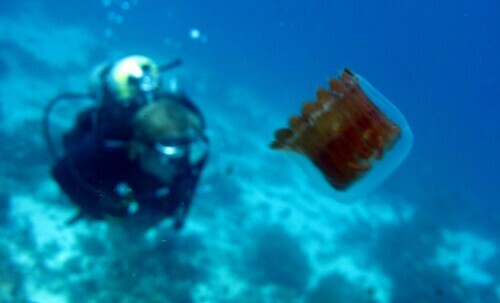 There was a fee of P500 to dive with uw camera. I thought it was a blatant extortion, but I had no more energy to argue. What if I decided to save on this and I come face to face with my first shark?!? So I paid the patrol boat and demanded receipt. I was never issued one so I guess the money never got to the conservation. I’ve become very familiar with my gears and was always the first few into the water. But while waiting for everyone, we heard hissing sound at my back. So our dive was furthered delayed because my tank has to be changed. I also had problem keeping afloat even with my BCD inflated or so I tried to inflate it more. And then I found that my Airsource 3 was not secured properly. I’m not superstitious but I wondered if the universe was telling me something. My scientific mind quickly took over and soon we were all set and underwater, freaking finally! Anyway, it was like 15 minutes into the 2nd dive (of the day) when I looked at my dive computer, a Suunto Mosquito, and saw that I was fast going to deco! I did not even go deeper than 20m. I quickly finned up a bit but it was too late. I was doing my deco stop at shallower water but the current was crazy here. A line was thrown to us and while hanging on to it, the current pushed me up the surface and LO and Behold!! my computer locked! @Andi – it's an hour plane ride to Dumaguete. No shark :( But check out the Tubbataha 2010. You should come dive that. 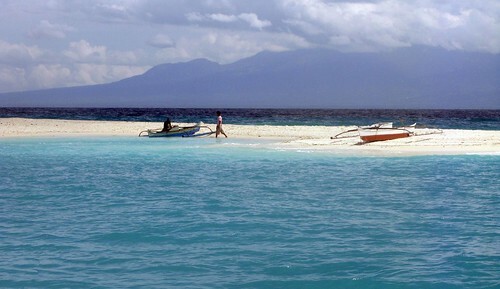 love that sumilon sandbar photo! OMG, I am dying to come diving with you girl!!! What a gorgeous place that is. Is it far from Manila? Did you get to see a shark?? Wonderful pictures. Especially the last one.